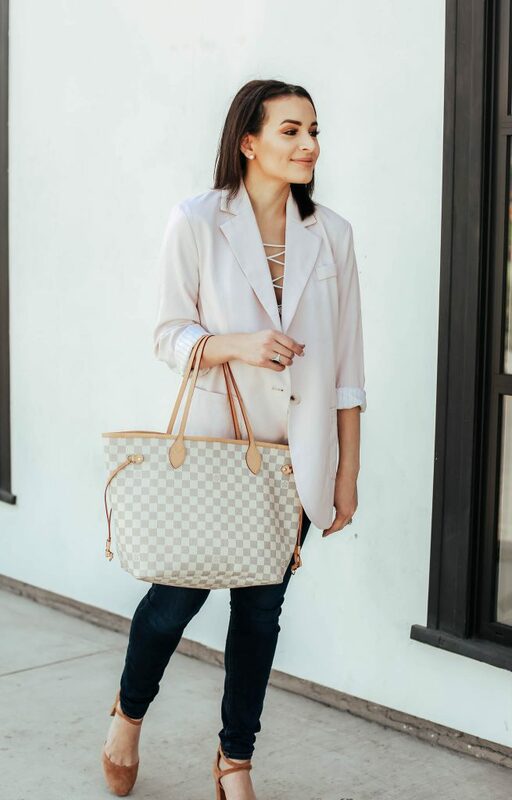 I have been loving the look of blush-toned blazers for spring! 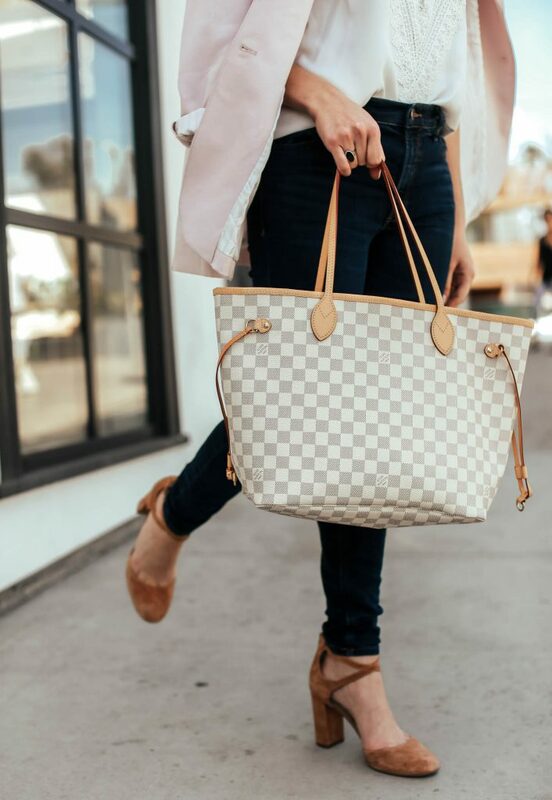 I’ve been wearing this one a ton as a dressier alternative to jackets and cardigans. I like that it has a relaxed oversized fit so I can wear it with jeans and shorts for summer! I’ve especially worn this a ton with my favorite top for spring which I will probably pick up in a few more shades! I rotate between this top in white and blush at least once a week and I would love to pick it up in red too!